This year our family did a name exchange for gifts and I must have been good this year because my sister spoiled me rotten!!! She knows how much I love the black and white Damask pattern so she got me a ton of stuff with that on it!!! There was a super cute round decorate box filled with goodies!!! 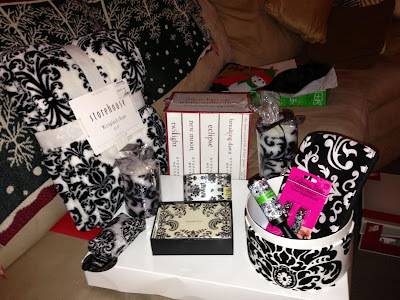 There was a cosmetic bag, mirror, nail and toe clippers, lint roller, duck tape, thank you cards, 2 candles and a re-usable tote bag all in my favorite pattern!!! Not to mention an awesome fleece throw!!!! LOVE IT!!! 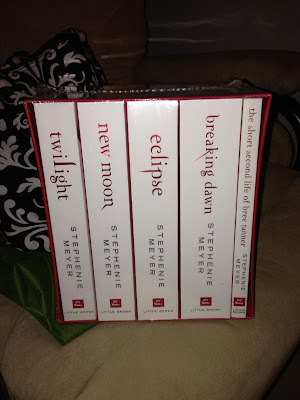 On top of all that...which by the way was mega awesome and enough... she got me the WHITE COVER SET of The Twilight Saga Books!!! EEEKKK!!! 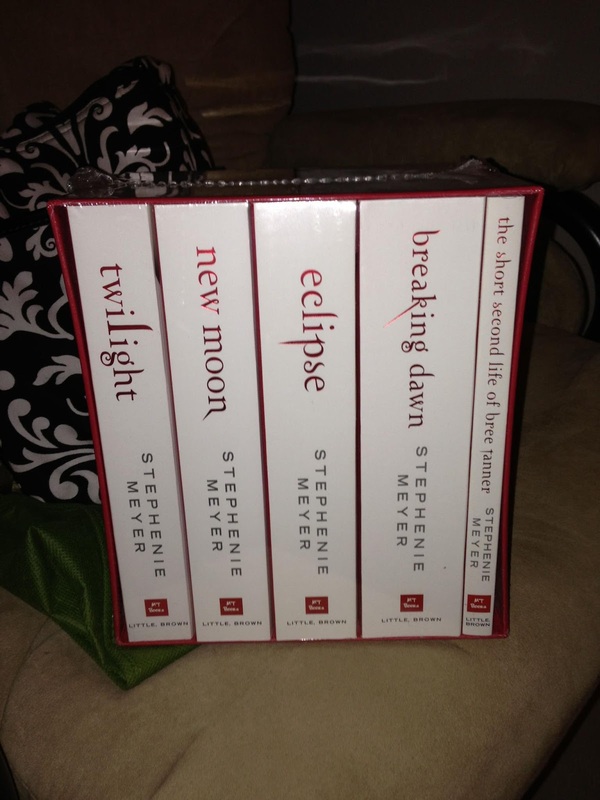 I have been wanting this set since I knew it existed but they were only available in the UK. Recently Walmart.com had listed the item and I put the little birdy out there that I wanted them. I am truly thankful for all these awesome gifts. Thank you to the most awesome sister! I love them all. You rock! !